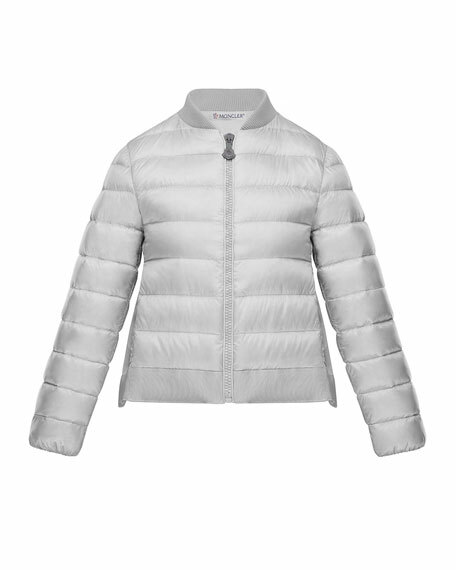 Moncler "Kamelie" lightweight quilted jacket. Ribbed, baseball collar; zip front. For in-store inquiries, use sku #2525873.